Open the bottle of Indulekha Bringha Oil and make a hole of 1 mm on the inner cap. Attach the cap with needles to the bottle of Indulekha Bringha Oil. Comb using the special attachment to detangle hair. Comb hair from front to back by gently squeezing the bottle. Make sure that the needles are in contact with your scalp. 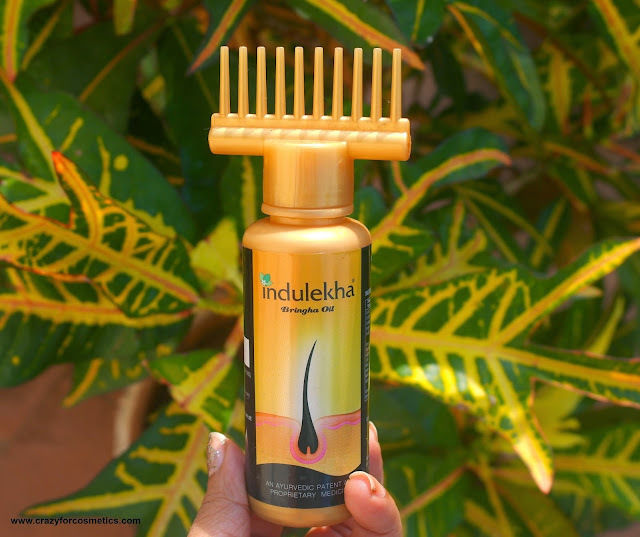 In a single squeeze, the needles will release around 0.5ml to 0.8 ml of Indulekha Bringha Oil on your scalp. Repeat applying oil for at least 4- 5 times to release desired amount of oil. Once the oil is applied, massage scalp gently using fingers. As the name indicates Bringha or Bringha raj (Eclipta alba ) is the main ingredient of INDULEKHA BRINGHA OIL. Eclipta Alba (False Daisy) is a herb that has been traditionally used in Ayurvedic medicine for being a liver tonic (for which it is one of the more effective herbs apparently) and having beneficial effects on diabetes, eye health, and hair growth. Eclipta alba offers a safe, natural treatment to slow hair loss and accelerate hair growth. 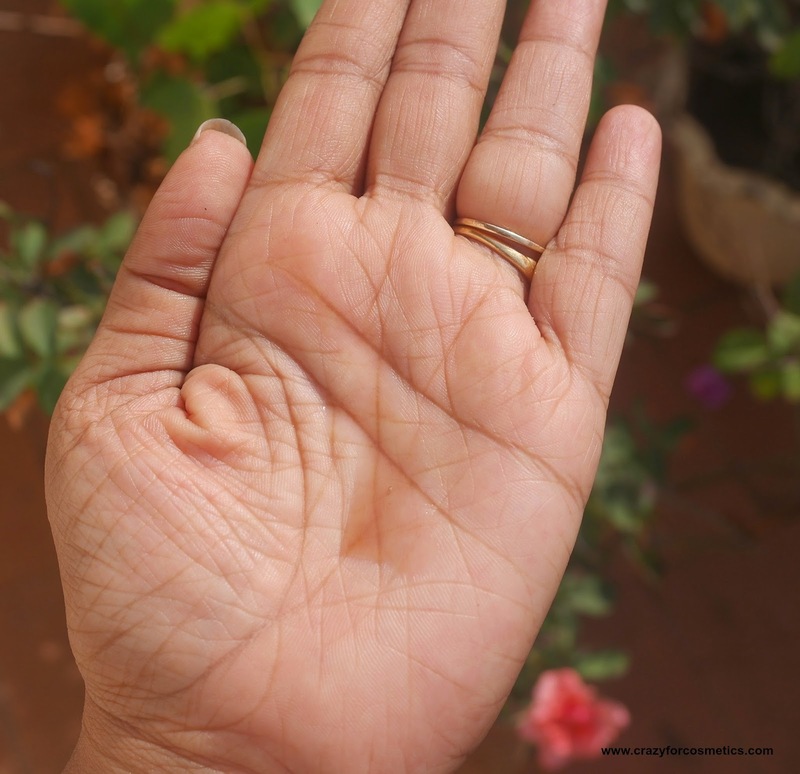 Bringha raj has natural rejuvenating properties. Literally translated, it means “king of hair”. Not only does it help promote hair growth, it also reverses balding. It can be helps to prevent premature graying. It has a calming effect when applied to the scalp and helps insomniacs sleep better. Eclipta alba is used in hair oil preparations since it promotes hair growth and maintains hair black. 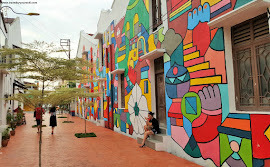 You can read more in their official website. 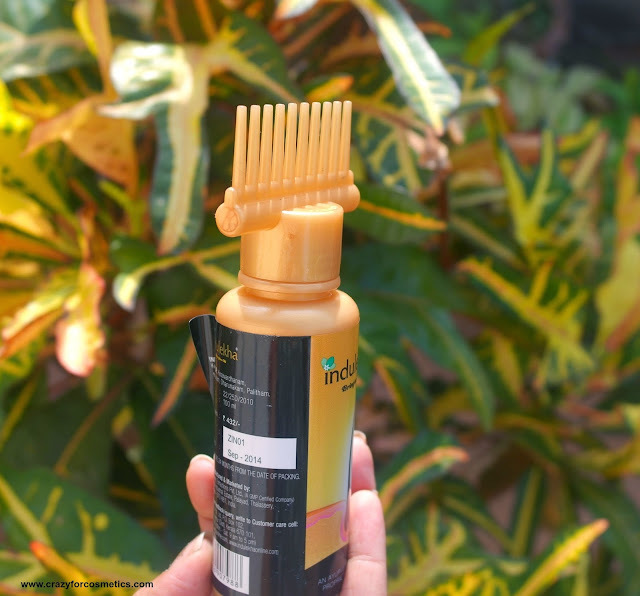 The hair oil comes in a yellow color plastic bottle with a selfie comb that can be used as the lid in order to dispense the oil into your roots while you can just comb your hair & squeeze the bottle. Interesting thought !! - Much appreciated. and it saves us a lot of time & money. The packaging is quite sturdy but beware not to rest the bottle in horizontal position- the oil would ooze out. The bristles of the comb are sturdy enough to run across your hair strands. First I comb my hair using my wide toothed comb and then use this to apply the oil into my hair roots. It evenly separates out the roots & the dispenser does a decent job in releasing the oil in the required quantity. 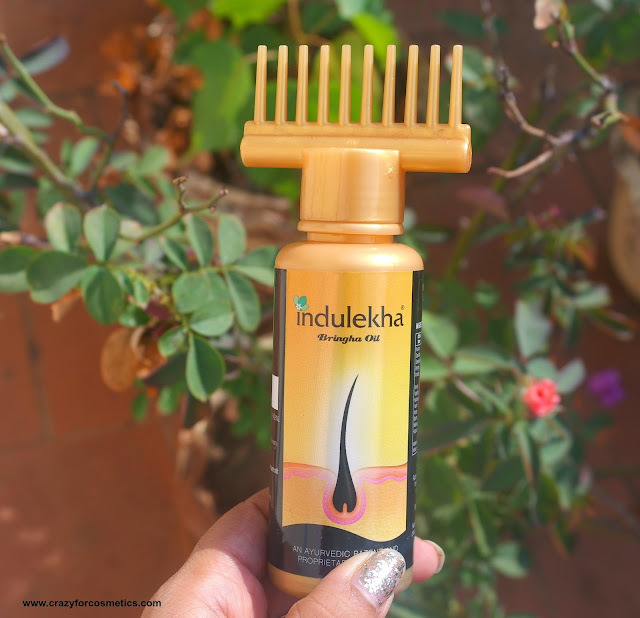 Though most of the times I remove the tangles in curly frizzy hair with a wide toothed comb, the Indulekha comb needles still get caught in my hair ends and I need to exert a lot of force to pull it out. 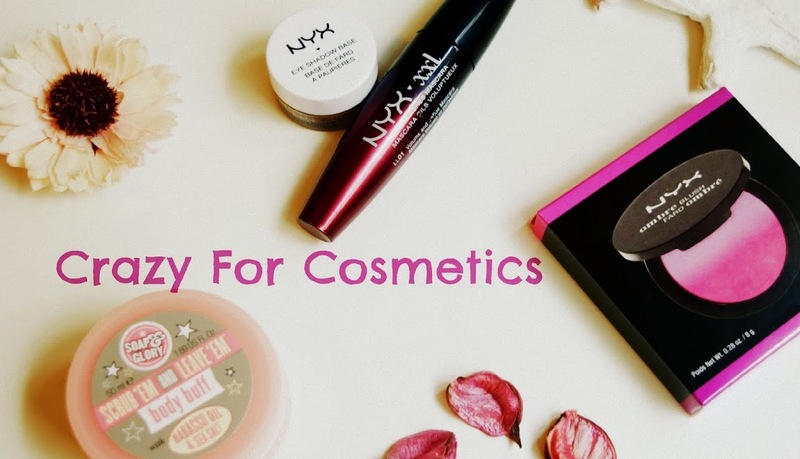 It will be useful for straight hair beauties but not for girls with curly, bushy or frizzy hair. The oil is in light brown color and smells of pure herbs but nothing else. The oil is quite thin in consistency and flows properly out of the needles. 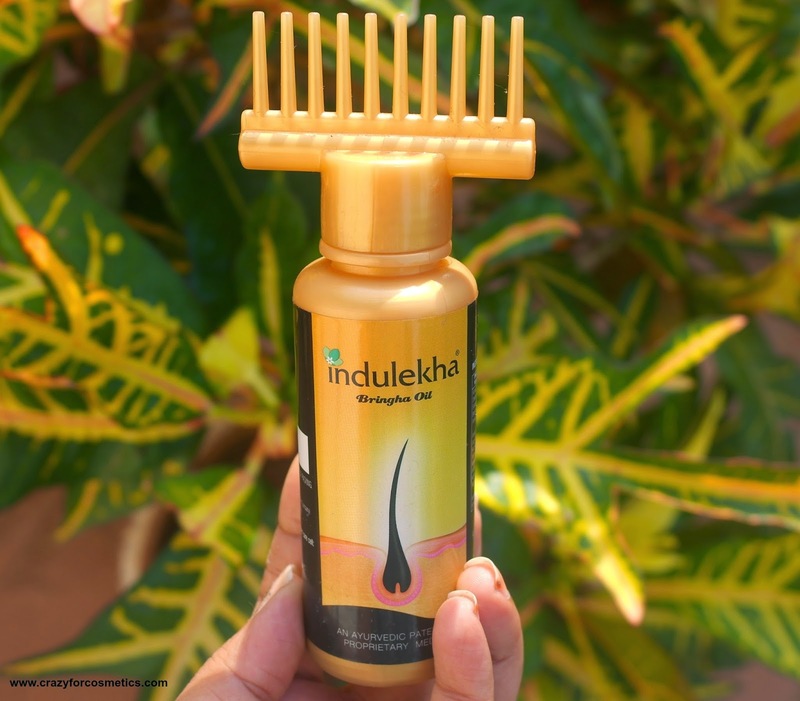 The hair easily gets coated with the oil and the oil seeps into the roots.Some oils can sometimes lead to extreme cooling of the scalp and lead to sinus or headaches, whereas I never faced any such issues with Indulekha Bringha. It is priced at INR 432 with the selfie comb, else it is INR 400. 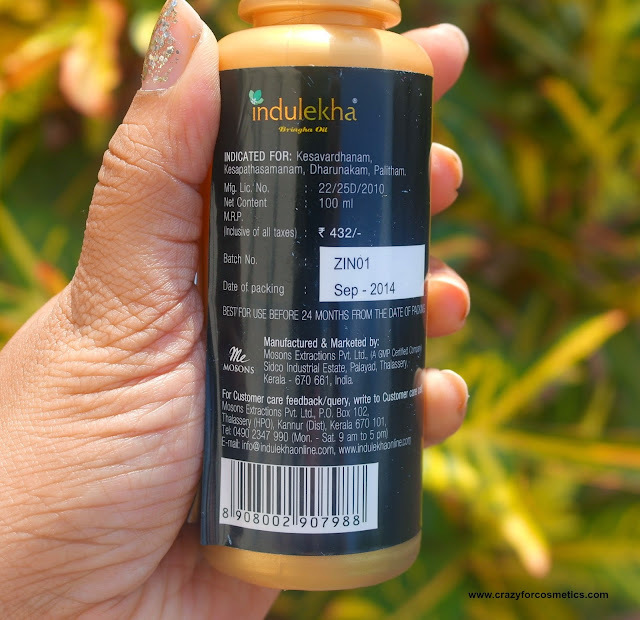 My mother in law who started using this few months back for her hair loss in hairline, seems to be giving positive feedback for this oil saying the hair seems to be growing back. I have not been taking good care of my hair recently due to change in water, lack of time and I have developed dandruff again. 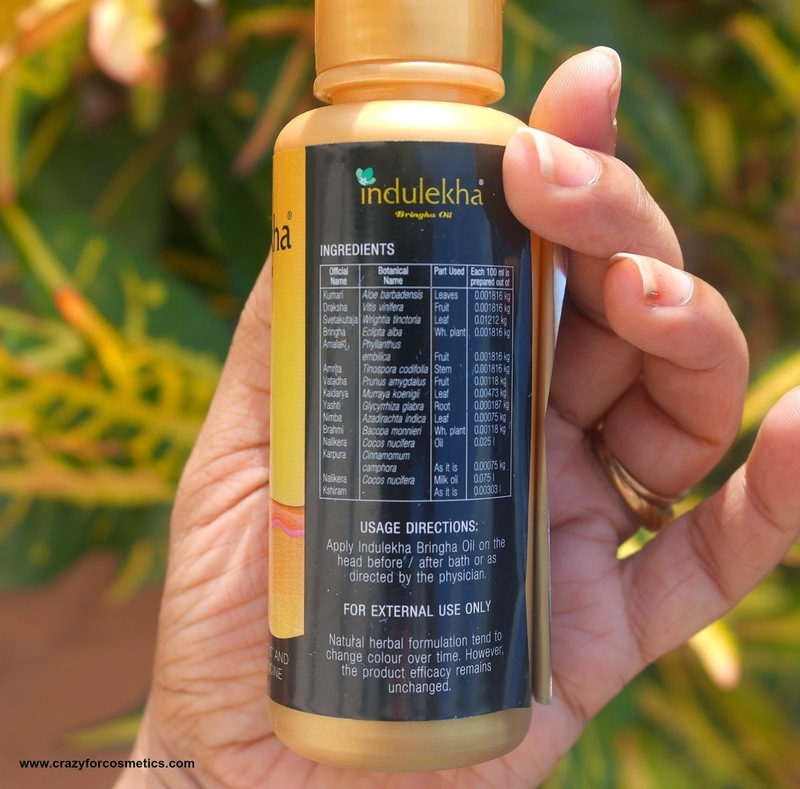 I have recently started using this Indulekha Bringha oil and let me see how it fares. 1 : Selfie bottle might not work well with curly frizzy hair.